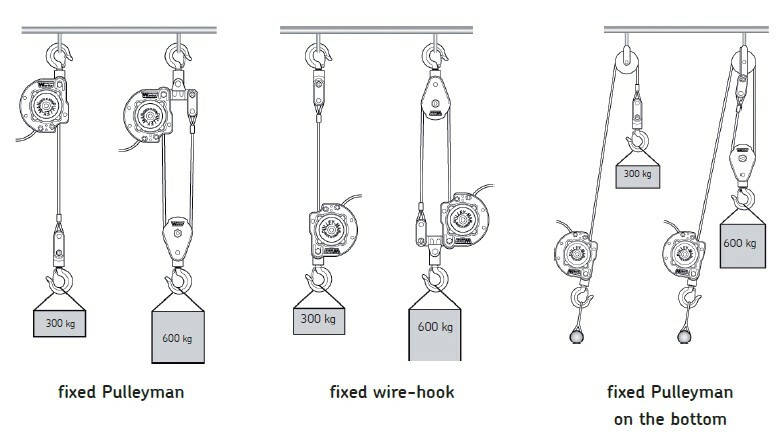 Conveyor Products Pty Ltd is the exclusive importer of the Korean manufactured PULLEYMAN Winch. 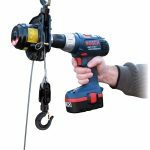 This is a fully portable, electric drill operated 300 Kgs single line or 600 Kgs double line lifting winch. It also has a pulling load of 1500 Kgs or 3000 kgs with the double line option. Applications: electric and cable works, installation and maintenance teams, construction sites and industrial plants, carries agricultural, marine, dairy and forestry products, rescue works at sea, rivers, fires, military operations.